How to make an appliquer's knot. 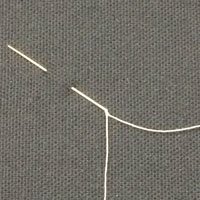 Dealing with silk thread can be frustrating. It is always pulling out of the needle. Re-threading is a continuous part of the applique process until now. 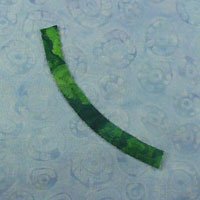 Placing an appliquer's knot at the base of the needle will keep your silk thread exactly where it is supposed to be. This video will show you how. A preview of my DVD's AND how to make a celtic stem. You can't beat a celtic stem for fast, easy stem creation when appliqueing. This video shows you how to make them. The video also shows you a brief preview of my DVD's. It will show you up close exactly what you need to see to produce beautiful applique. This video will show you how. 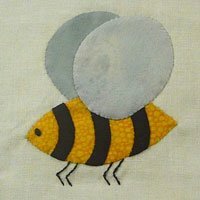 How to make a bee. Making a bee can be a challenge. We don't want bumps where the strips turn under at the outer edge. The solution: Make the bee off block or in hand. This video will show you how.